The All Blacks Sevens has repeated history by successfully defending their Sevens World Cup title for both Mens and Womens. Read more about the All Blacks victory from ABC News here. Congratulations New Zealand for your win! Next up, we have the 2018-19 World Rugby Sevens Series which will start from 30 November 2018 till 9 June 2019. First founded in 1993, the 2018 Rugby World Cup Sevens will mark it’s 7th time the Men’s Cup and 3rd time the Women’s Cup will be contested by qualified national teams. With the venue hosted at AT&T Park in San Francisco, United States — the World Cup will start from 20 to 22 July for a total of 84 matches (52 men’s and 32 women’s). 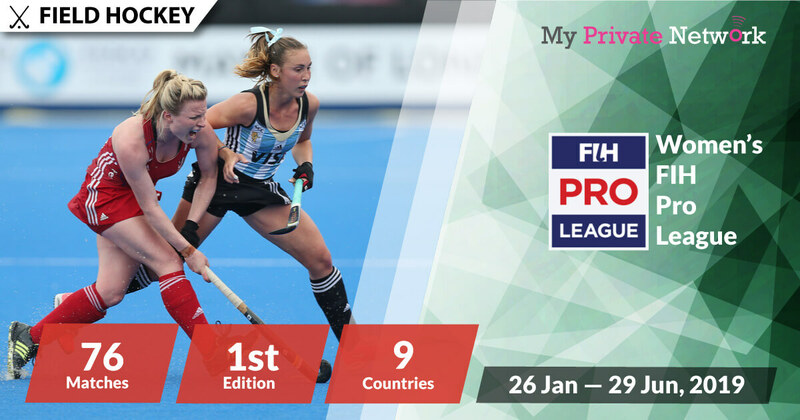 Live Stream starting on 20 July (Friday) at 17:00UTC for Women and 20:00UTC for Men. We’ve only listed fixtures for the Championship Cup games. Check out the updated official schedule and results from Rugby World Cup Sevens here for the Challenge and Bowl Cup fixtures. If you’re not currently in the U.K, U.S, Canada, Australia, New Zealand, South Africa or if you’re geo-restricted from accessing the stream – then you’ll need to connect to our VPN first before streaming the tournament from your usual providers. 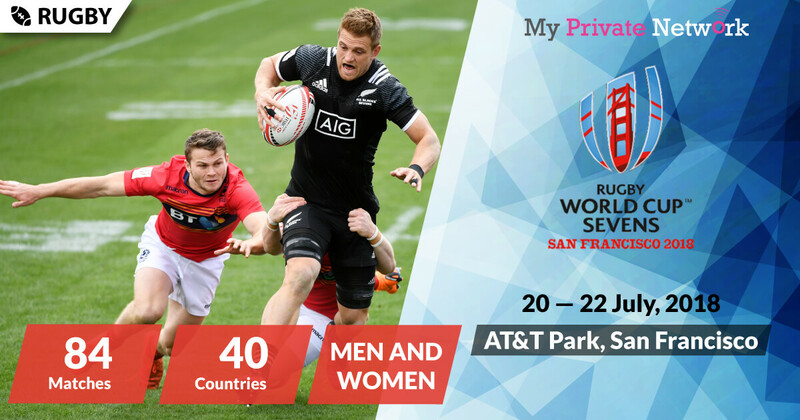 2) Install our VPN on any device that you’ll be using to watch the 2018 Rugby World Cup Sevens. 3) Connect to our U.K (GBR) servers for iTV and S4C, U.S (USA) for NBC Sports, Canada (CAN) for CBC, Australia (AUS) for Fox Sports, New Zealand (NZL) for TVNZ, or South Africa (ZAF) for Supersport. iTV will be providing full live coverage for free of the entire tournament. 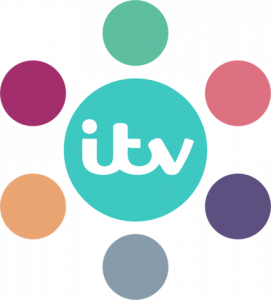 Whilst iTV doesn’t charge for their content, you’ll still need an iTV account to access them. Learn how to sign up for free here. Availability: U.K only – Connect to our U.K (GBR) servers first before starting the stream! Tip: Rugby World Cup Sevens will be airing live from 20 July 2018 on iTV 4. Click here for a direct link to iTV 4. S4C will be providing full live coverage for free of the entire tournament with Welsh commentary. Availability: U.K only – Connect to our U.K (GBR) servers first before starting the stream! Tip: Rugby World Cup Sevens will be airing live from 20 July 2018 on S4C. Click here for a direct link to S4C. NBC Sports will be providing full live coverage of the entire tournament. However, you’ll need a paid subscription with them to access their content. Availability: U.S only – Connect to our U.S (USA) servers first before starting the stream! Tip: Rugby World Cup Sevens will be airing live from 20 July 2018 on NBC Sports. Watch the live stream of the entire tournament from Eurosport. You’ll need a Eurosport subscription to access them. Availability: Europe only – Connect to our European (DEU, FIN, SWE, etc.) servers first before starting the stream! Tip: Rugby World Cup Sevens will be airing live from 20 July 2018 on Eurosport. Tip: Rugby World Cup Sevens will be airing live from 20 July 2018 on Fox Sports. CBC will be providing full live coverage of the entire tournament for free. Availability: Canada only – Connect to our Canada (CAN) servers first before starting the stream! Tip: Rugby World Cup Sevens will be airing live on 20 July 2018 on CBC. Watch the entire tournament from TVNZ for free. Whilst TVNZ doesn’t charge for their content, you’ll still need a free TVNZ account to access them. Availability: New Zealand only – Connect to our New Zealand (NZL) servers first before starting the stream! Tip: Rugby World Cup Sevens will be airing live from 20 July on TVNZ Duke. TVNZ’s Rugby World Cup Sevens Programme. TVNZ’s Rugby World Cup Sevens Schedule. Click here for a direct link to TVNZ Duke. Tip: Rugby World Cup Sevens will be airing live from 20 July 2018 on SuperSport 1. We hope you found this article informative and useful. 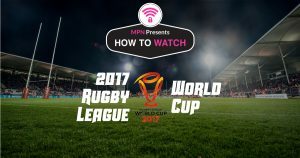 Please feel free to share it with your friends or family that want to watch the Rugby World Cup Sevens too!